The Everest preschoolers are learning about community helpers this week. 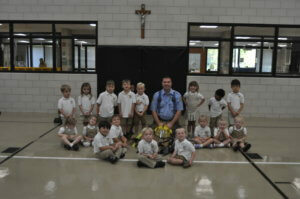 Officer Greg came to visit from the Independence Fire Department. 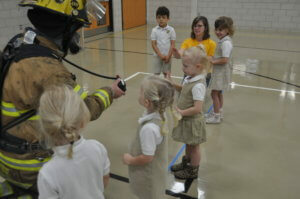 He spoke about fire safety and showed the students his firefighter uniform and equipment. 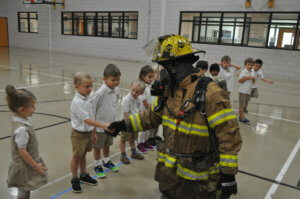 The class enjoyed the visit especially giving high fives to Officer Greg.